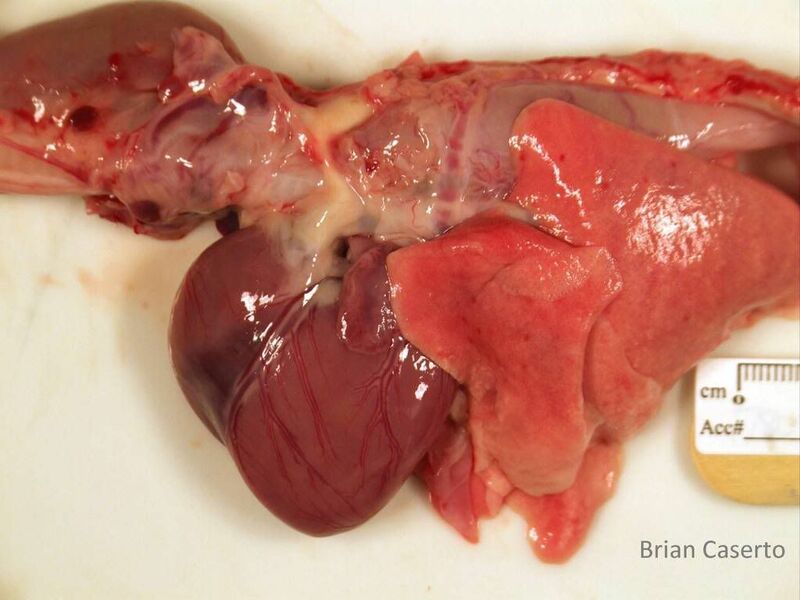 History: An 8 week old female German Shepherd with vomiting and anorexia for the past 4 weeks. The aorta was present on the right side of the trachea and esophagus. 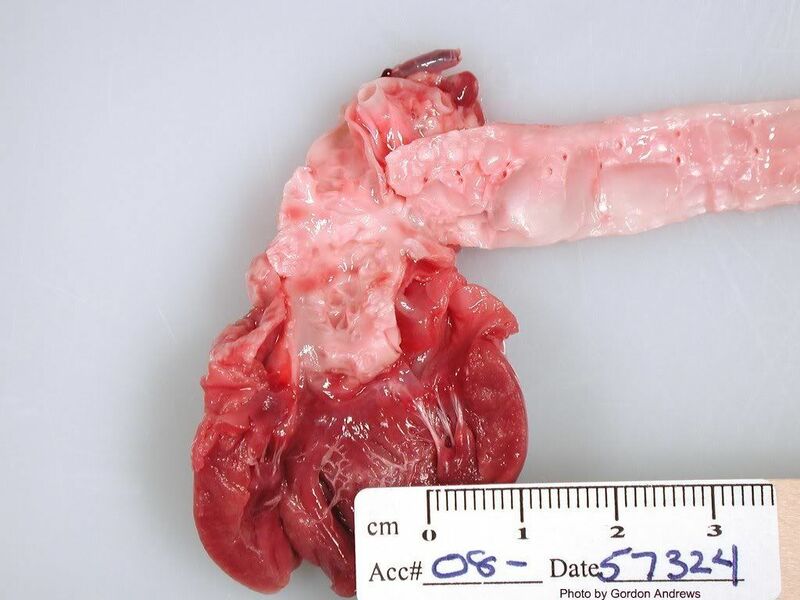 There was a 1 cm long thick white band connecting the aorta and the pulmonary artery which was present on the left side (ligamentum arteriosum) and resulted in constriction of the esophagus. The esophagus cranial to this point was markedly dilated (approximately 2.5 times the normal size). Heart, Lungs, Esophagus left side up, the head is toward the left. 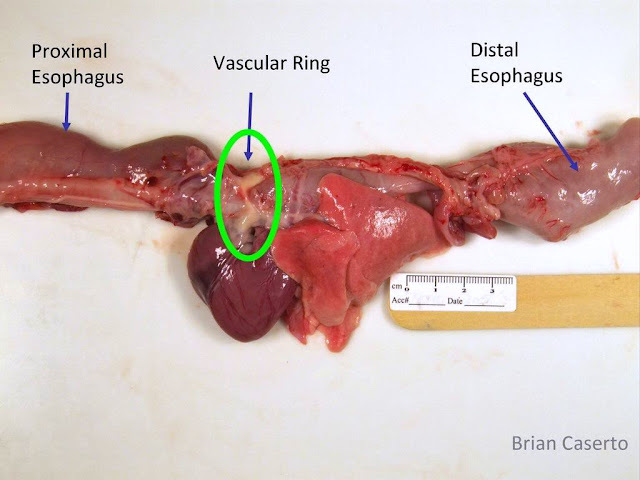 The esophagus proximal and distal to the heart is dilated. 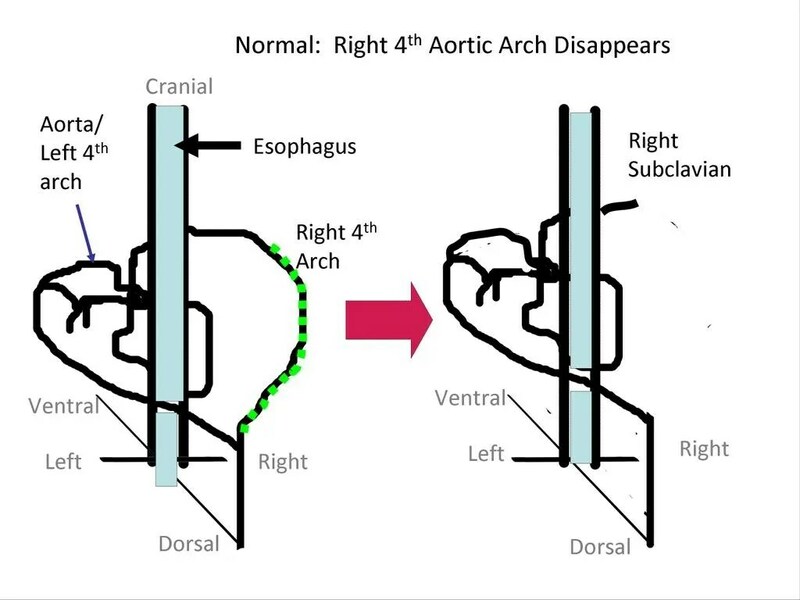 Normal Development: The 4th and 6th aortic arches arise from a ventral midline vessel and run to the dorsal aorta which becomes a single vessel caudal to the 3rd aortic arch. 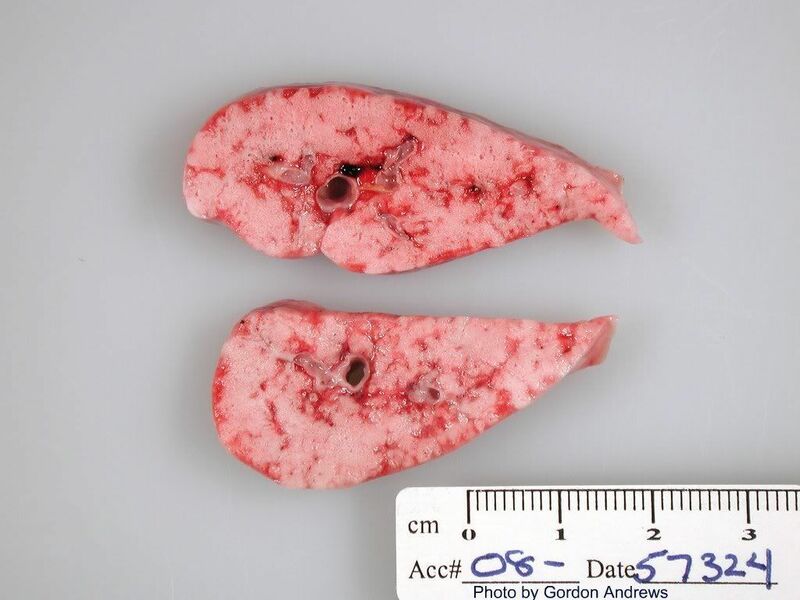 Normally only the left 4th and 6th aortic arches remain in the fetus. The Ductus Arteriosus is derived from the embryonic Left 6th aortic arch. 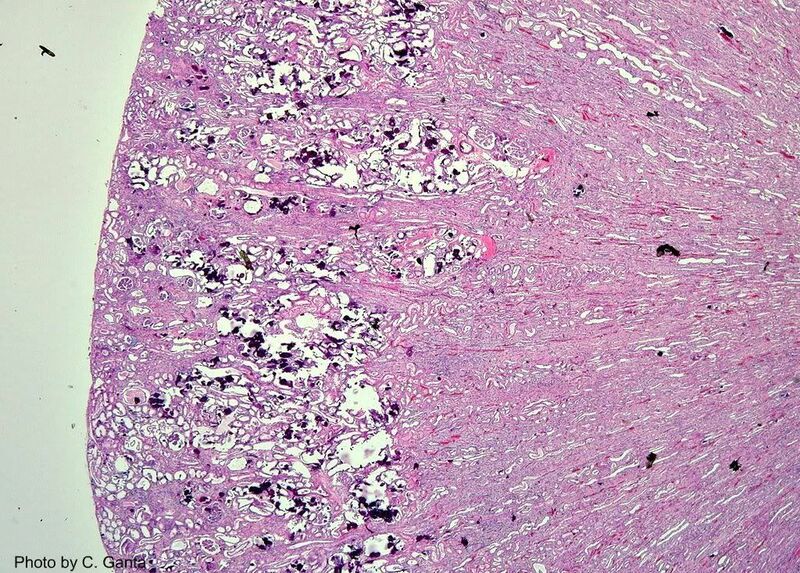 The proximal aorta arises normally from the embryonic Left 4th aortic arch. 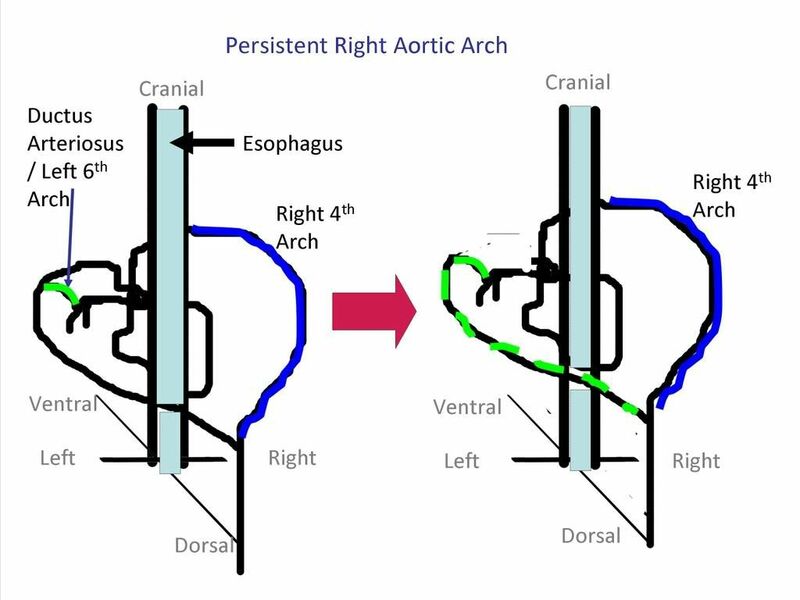 Development of PRAA: The root problem is the abnormal retention of the Right 4th aortic arch instead of the Left 4th aortic arch. If the Left 6th aortic arch remains (as in a normal animal) then a vascular ring anomaly occurs. 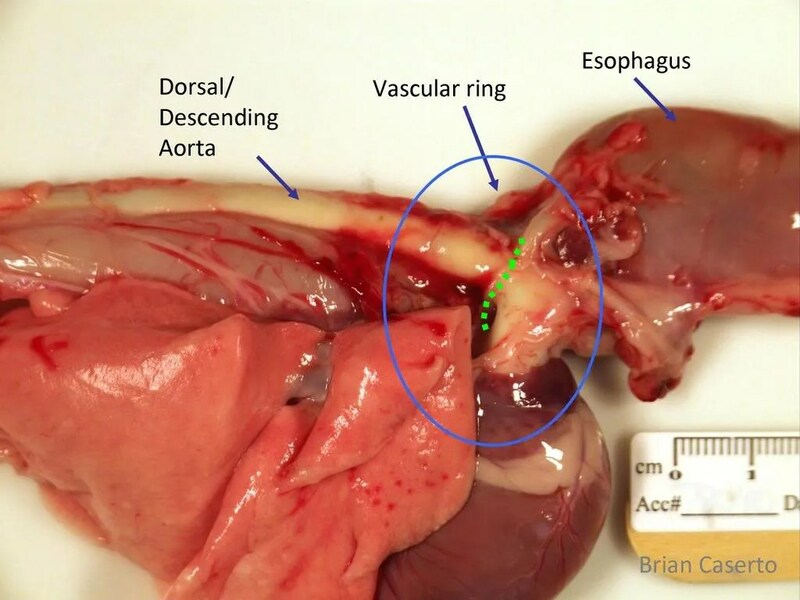 The vascular ring includes the base of the heart (ventrally), the right 4th aortic arch (right), and the ductus arteriosus (left 6th arch) on the left. 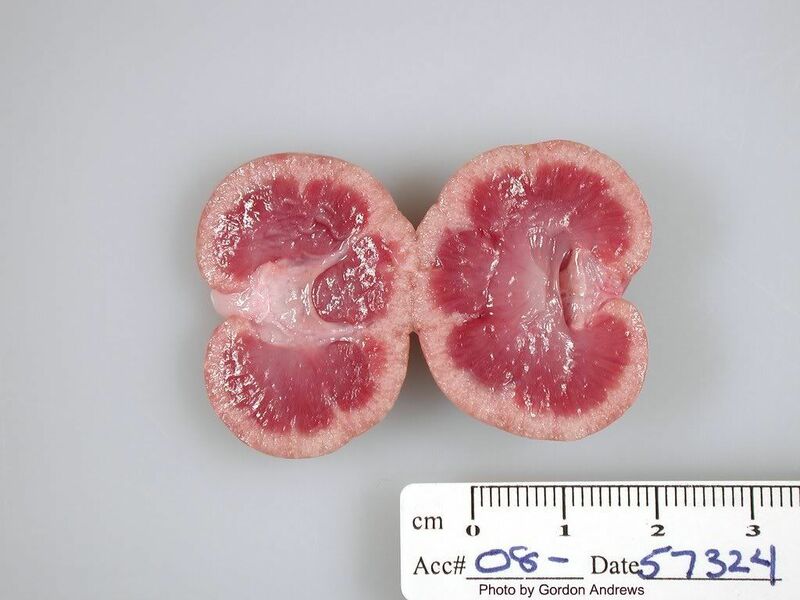 An anomalous left cranial vena cava can accompany this anomaly. This entry was posted in Necropsy Cases and tagged Canine, Cardiovascular, Congenital, Gastrointestinal. Bookmark the permalink.